Environmental concerns such as climate change and global warming are constantly mentioned in the news nowadays, and many are of the opinion that the future seems bleak unless something is done quickly. Nonetheless, there are some people who believe that the threat is marginal or even non-existent. Over the past few years, two notable figures have taken up opposing sides of the issue: Prince Charles and Fred Singer. In this comparison article, we take a look at the viewpoints and actions of both. Born on November, 14, 1948, Prince Charles is the current Prince of Wales. He is the eldest son of Queen Elizabeth II and is given the title HRH The Prince of Wales, and The Duke of Rothesay in Scotland. Fred Singer is an American physicist born in Australia on September 27, 1924. An emeritus professor at the University of Virginia, Singer was involved in environmental science, and received his education as an atmospheric physicist. Among his fields of specialization are space research, air pollution, rocket science and satellite technology. He has also achieved some notoriety for his views against the current assessment of global warming. 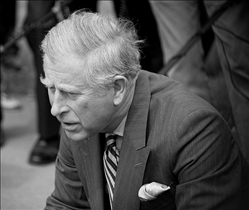 Prince Charles has been involved in environmental issues since the early 1980s, playing a prominent role in the global promotion of environmentally sensitive views. He actually instituted organic farming in his own Highgrove Estate, and this led to the launch of his own line of organic produce called Duchy Originals. The line later expanded to include garden furniture, and all profits are donated to charities chosen by the Prince. 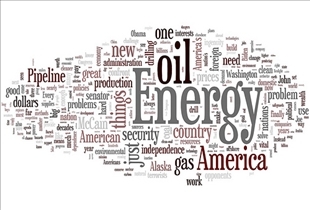 Fred Singer, for his part, has long been an outspoken critic of anti global warming movements. The main thrust of his argument is that there is currently no solid evidence that supports the theory of global warming being caused by increased carbon dioxide by humans. On December 2006, it was announced that Prince Charles would make the arrangements of his household more friendly to the environment, and he in fact began publishing details of his carbon footprint by the next year. He also announced plans to reduce the overall carbon emissions of his entire household. One theory of Singer has proved quite controversial was his claim that people would actually benefit from the global rise in temperatures. He has also dismissed the climate models that scientists currently use to project global warming trends, essentially saying that they are not grounded in reality, and that they provide no evidence of future occurrences. Hooray for the Prince. That is a leader anyone with a brain can admire. He is willing to live as he preaches. So why all the criticism England? Your Royalty is influencing the world in a positive way and is open to any one who wants to see how much they spend and save to boot. Not like some countries who disguise it as a 500dollar hammer or toilet seat. And the other dude, sure the warm would be nice for humans but there is alot more that live on this planet than humans, and we need them to survive too.